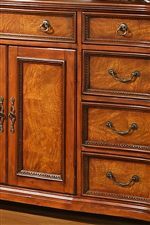 This stunning dresser and dresser mirror set features nine drawers and a two-door center cabinet for storing clothing and personal items. 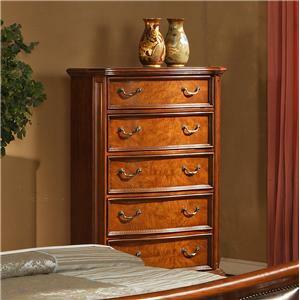 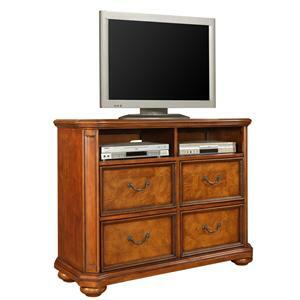 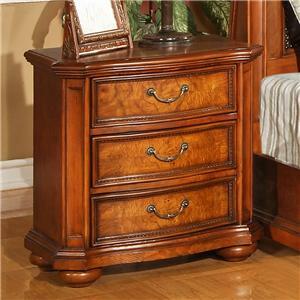 From case top to case bottom, thi dresser flourishes with ornamentation. 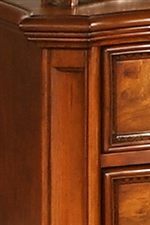 Crown molding, fluted corners, dentil molding, turned bun feet, antique brass hardware, and masterfully veneered drawer fronts testify to the royalty of this dresser. 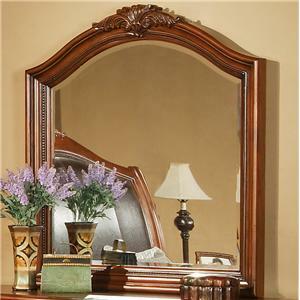 The Acanthus Leaf beveled glass mirror has a wooden frame and features both crown molding and dentil molding - and of course, the beautiful Acanthus leaf. 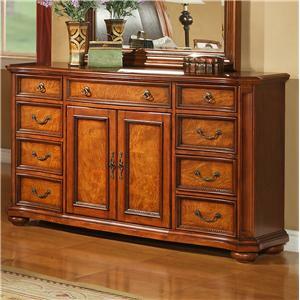 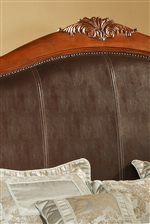 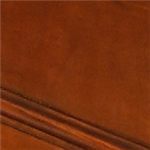 The 0243 9 Drawer Dresser with Acanthus Leaf Mirror by Lifestyle is available in the area from BigFurnitureWebsite. 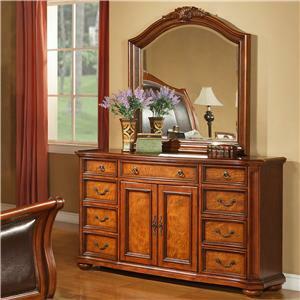 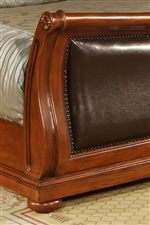 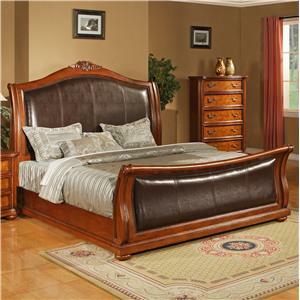 C0243A-050 Mirror 1 2.5" 42" 45"
C0243A-040-9 Dresser 1 19" 66" 38"